Three guesses as to whom the mushrooms are from. Ding ding ding, we have a winner! LOL, Tracy! Mrs. P, aren’t they great?! My son brought me a “surprise” today, held enticingly behind his back, while he grinned happily up at me. What could it be? I was thinking he must have found a wildflower. But then he presented me with a fluffy seed he had chased down and caught just for me. 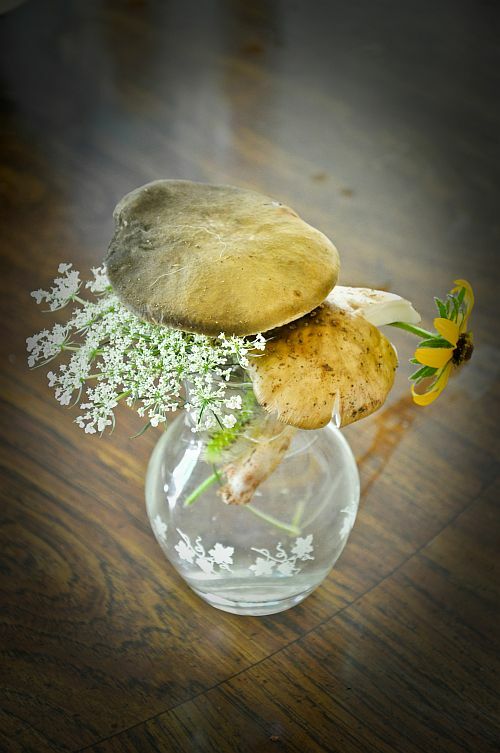 Love can come shining through in flowers, seeds, and mushrooms.